Through seasonal shifts and the terrain changes that consequently take place, your vehicle’s tires may be getting worn out. Your tires will eventually need replacement, but there are ways to ensure they last as long as possible. The most important step is to visit our Jackson Hyundai dealership for routine tire maintenance; our expert technicians have years of experience handling tire maintenance, so they’ll know when you need to replace the tires, or simply rotate them. Whether you need a tire rotation, wheel alignment, or new tires, our service center has you covered. Tire rotation allows for all of the tires to do some duty on the front end as well as get a break on the back end. It ensures that each tire wears evenly and lasts longer. Wheel balancing is just as important because there are heavy spots on tires and the wheel that cause vibrations and wobbling. Properly balanced wheels can improve driver safety, reduce tire wear, increase fuel efficiency and minimize steering wheel vibration leading to a smoother, more comfortable ride. You should also keep your tires inflated to the appropriate level listed in your owner’s manual and check them for wear and tear; our expert technicians at our Jackson tire shop would be happy to assist you with this step. At our Jackson Hyundai dealership, we continue to offer new service specials to keep you driving safely on the road with quality tires. Sometimes certain models come with tires that wear out more quickly, so it’s important that you have an affordable option to replace them when it’s necessary. Typically, the expectation for original equipment tires is they need to be replaced every 50,000 miles. However, a variety of vehicle owners report needing to change them at 20,000 miles. 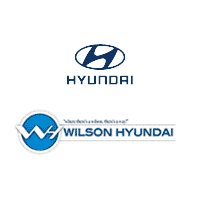 For more information on tire maintenance and our Jackson tire shop, contact us at Wilson Hyundai today!